Since I had a stop at four different airports in the last 24 hours I started to wonder whether you can draw a conclusion from an airport to its city or if airports do stand on their own with no comparison to the people living nearby at all. In Hamburg for example the staff was nonchalant or even rude, treating passengers more like a burden than a client. 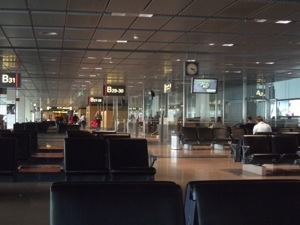 Perhaps I was tavelling on a bad day since it was hot for he first time in weeks, stress or overboarding workload could not have been the reason for rudeness since the airport was quite empty. Even the café at the gate was closed down. The interesting thing: it did not even matter if you were checking in with the German British Airways staff or went through security, more than a few instructions where to put what was apparently too much to ask. Should I now conclude that the Hamburg people are as cold as they are often described by people from southern Germany? I don’t like to think so because it is something that is said about people at the northern German coast as well and I have always experienced those as most charming and friendly even though they might need some time to open up towards strangers. Oh and they sometimes like to act the cold Northerner for those who are expecting it, tourists mostly. What strucks me about Heathrow first is that it can be quite interesting landing there on a beautiful sunny day. I flew over Wimbledon where currently one of the world’s most famous tennis tournaments is taking place and for one moment I could imagine seeing the ball flying and crowds cheering which of course I could not. But that’s what imagination is for, isn’t it? The second thought is never to move anywhere near Heathrow. Ever! Because you can nearly watch into people’s living room windows flying over their homes, living there must feel like aeroplanes landing directly in your backyard at every odd hour of the day. Enough of explosives and back to travelling. I’ve been to London often enough but never landed in Heathrow before, always taking some cheap airline like Ryanair or Germanwings with destination Stansted. 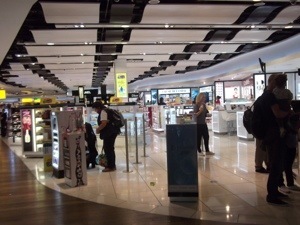 Compared to Stansted or Hamburg, Heathrow airport is quite a posh place to go shopping, with a Harrods dependance and a wide range of perfume and liquor duty free stores. And for me that was Heathrow’s biggest problem: An overwhelming smell of perfume lingers in most parts of Terminal 3, additional to wailing children and aircondition it caused me quite a headache. So I confess: I was not only bored but slightly annoyed. And this again makes me think: airports are not like the towns they are situated in because that has never ever happened to me before while staying in London. Ok I never go shopping in posh stores but I do enjoy noisy and crowded places… At least for some time. It makes me buzz with excitement and feeling so much more alive. I was not sad to leave there again even though I had a ten hour flight before me in a fully booked plane. 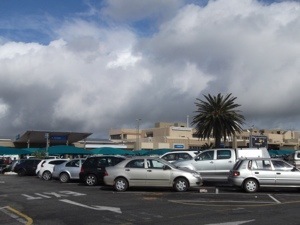 When arriving at Johannesburg my first thought was “finally summer, finally escaped the bad Northern German weather” only to encounter South Africans in winter coats complaining about the freezing temperatures. It was 15 degree Celsius at 10 o’clock in the morning, sunny and temperatures rising – the forecast was above 20 degree mid-day. 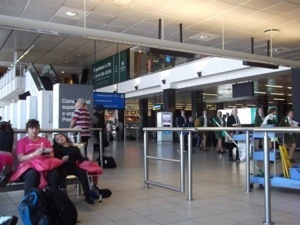 I confess I do not remember much about Johannesburg airport since I was really occupied with running from one counter to another to even catch my flight. Only with a lot of “excuse me” “sorry” “can you let me through please” I did arrive at my gate five minutes before closing. And for the first time I learned the meaning of TIA – This is Africa. While I was busy not to panick the staff really took its time. You can print a ticket in two minutes or eight and have a nice chat with the neighbouring counter. Oh only ten minutes left to pass security and at least 40 people in front of you? Keep calm. This is Africa. And as a apparently quite non-stress-resistant German I really did wonder how the hell this had worked out and I did not only catch my plane but it almost left in time. Even though the airport in PE is called Port Elizabeth International I don’t think here is even one international flight heading or leaving. But the first thing I learned about Port Elizabeth was something completely different: it is windy and you can find the best Chinese food there in whole of South Africa. Or so a nice old lady told me I was sitting next to during my flight to Johannesburg. She is now living in Johannesburg but before her children had grown up she had been living in PE for over 30 years. Is it windy? Yes indeed, landing was a bit like being trapped in a cocktail shaker. The Chinese food is something I have to test yet, searching for “The Green Lantern” (what a clichee name) where according to the old lady you can get the best sweet and sour ever. If the restaurant even does still exist since she hadn’t been in town for quite some time. So what are airports like? I think every airport is a microcosmos of its own and not a mirror of those living nearby. It is a melting pot of travellers and workers alike. No place on earth captures as much of the human’s desire to travel and explore as an airport – even though many might not travel out of the desire to explore the world but necessity: because of their job or to visit family living far away like the old lady who had been to LA to visit her children. Perhaps Johannesburg shows at best that aiports differ from towns since you simply do not enounter real poverty or crime which still hunts Johannesburg like no other city in South Africa. And last but not least it is a place to meet new people, in Joburg while waiting at security and the ticket counter I had a chat with some folks from UK as well as with a man from Namibia who tried to convince me to leave South Africa and travel to his beautiful country instead. And to come to an end: Since I have visited four airports in three countries on two continents in barely 24 hours I now dare to call myself a far travelled person. Nachtrag an Tag 3 mit Entschuldigung für die Verspätung: Die deutsche Version. An vier verschiedenen Flughäfen in nicht einem 24 Stunden – das hat mich zum Nachdenken gebracht: Ist es wohl möglich vom Flughafen Rückschlüsse auf die Stadt zu ziehen, in der er liegt? Kann man ihn vergleichen mit den Menschen, die in der Nähe wohnen und vielleicht dort arbeiten? Nehmen wir als erstes Beispiel Hamburg: Selten bin ich so vielen unfreundlichen und mürrischen Menschen begegnet wie dort. Vielleicht bin ich auch an einem schlechten Tag von dort abgeflogen, schließlich war es der erste warme Tag seit langem und ziemlich stickig in der Flughafenhalle. Jedenfalls machte es keinen Unterschied, ob ich nun gerade mein Ticket am Schalter von British Airways abgeholt habe oder durch die Sicherheitskontrolle gegangen bin: Höflichkeit hatte da keiner für sich gepachtet. Und selbst die Frage wo was ist und in welche Wanne welches Gepäckstück gepackt werden soll, war scheinbar schon zu viel. Sollte ich daraus jetzt den Rückschluss ziehen, dass Menschen in Hamburg kühl und unnahbar sind, wie es manche Leute aus Süddeutschland gerne tun? Ich denke nicht, schließlich sagt man das auch über die Ostfriesen und die habe ich immer als ausgesprochen gastfreundlich und herzlich erlebt – auch wenn sie manchmal ein bisschen brauchen um aufzutauen. Und manchmal habe ich auch das Gefühl, dass sie gerne mit dem Klischee des kühlen Norddeutschen spielen – besonders gegenüber Touristen. Mein erster Gedanke als ich in Heathrow lande ist: Toller Ausblick, vor allem bei schönem, sonnigen Wetter. Ich fliege über Wimbledon, gerade ist dort das berühmte Tennis-Turnier, und für einen Augenblick bilde ich mir ein, ich kann tatsächlich sehen, wie ein Spieler aufschlägt, der Tennisball fliegt, Menschen jubeln. Was ich natürlich nicht kann, da geht einfach meine Einbildungskraft mit mir durch. Der zweite Gedanke ist ein anderer: Ziehe niemals in die Nähe von Heathrow. Nie. Nie. Niemals. Die Flugzeuge fliegen tatsächlich so dicht über die Häuser, dass Passagiere den Menschen beinahe ins Wohnzimmer gucken können. Das ist als würde ein Flugzeug im Vorgarten landen. Aber wieder zurück zur Reise. Ich war in letzter Zeit ziemlich oft in London, aber noch nie in Heathrow, da ich um Geld zu sparen bislang immer nur mit Billigfluglinien nach Stansted geflogen bin. Verglichen mit Stansted oder Hamburg kann man in Heathrow ziemlich edel einkaufen gehen, immerhin gibt es dort eine Harrods Niederlassung und eine Menge Parfümerien. Und die sind wirklich ein Problem: Das halbe Terminal 3 roch nach verschiedenen Parfümsorten und das hatte zur Folge, dass ich mich nicht nur schrecklich gelangweilt, sondern auch noch Parfüm-Wolken-Kopfschmerzen bekommen habe. Und das hat mich wieder nachdenklich gemacht: Sind Flughäfen wie Städte? Schließlich ist es mir in London noch nie passiert, dass ich genervt oder überfordert war, eher das Gegenteil. Gut, ich gehe nicht in schicken, teuren Geschäften einkaufen, dafür mag ich Menschenmengen. Zumindest eine Zeit lang. Umso mehr Menschen um mich herum schwirren, desto lebendiger fühle ich mich.
Ich war jedenfalls nicht traurig Heathrow zu verlassen, auch wenn ein fast zehn Stunden Flug vor mir lag. In Johannesburg habe ich mich erst einmal über das Wetter gefreut: Sonne und warm, endlich dem kalten, norddeutschen Sommer entkommen. Nur, um dann lauter Südafrikanern in Winterjacken zu begegnen, die sich über die kalten Temperaturen beschweren: 15 Grad um zehn Uhr morgens, Wettervorhersage über 20 Grad am Nachmittag. Vom Flughafen in Johannesburg habe ich nicht viel mitbekommen, ich war viel zu beschäftigt nicht meinen Anschlussflug zu verpassen. Nur mit Gedrängel und vielen „Tschuldigung“, „Kann ich mal durch?“, „Danke“ habe ich es gerade so geschafft fünf Minuten bevor das Gate schließt dort anzukommen. Und zum ersten Mal habe ich die Bedeutung von „TIA – This is Afrika. Das ist Afrika.“ verstanden. Während ich versucht habe nicht in absolute Panik zu verfallen, hatte das Personal die Ruhe weg. Schnell mal ein Ticket ausdrucken? Immer mit der Ruhe und noch ein Schwätzchen mit der Dame am Nachbartresen halten. Noch zehn Minuten Zeit für die Passkontrolle und 40 Leute in der Schlange vor dir? Kein Problem. Immer mit der Ruhe. Das ist halt Afrika. Und als scheinbar nicht wirklich stressresistenter Westeuropäer wundere ich mich wirklich, dass ich nicht nur das Flugzeug erwischt habe, sondern das auch noch nahezu pünktlich losgeflogen ist. 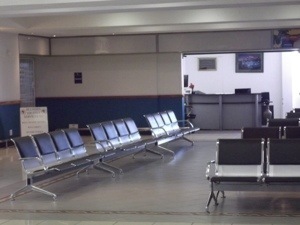 Auch wenn der Flughafen in Port Elizabeth den Namenszusatz „International“ trägt, glaube ich nicht, dass hier auch nur ein internationaler Flug landet oder abfliegt. Provinzflughafen trifft es eher. Selbst das Gepäck liegt nach knapp zwei Minuten auf dem Laufband. Mein erster Eindruck von Port Elizabeth ist aber ein anderer. Anscheinend ist es dort nicht nur windig, sondern es gibt auch das beste chinesische Essen in ganz Südafrika. Das hat mir jedenfalls die ältere Dame erzählt neben der ich im Flugzeug nach Johannesburg gesessen habe. Sie lebt Joburg, hat aber über 30 Jahre in Port Elizabeth verbracht. Ist es windig? Definitiv. Die Landung ist ein wenig wie mit einem Cocktail-Shaker durchgeschüttelt zu werden. Das chinesische Essen konnte ich bislang nicht testen und habe auch noch nicht das Restaurant mit dem klischeehaften Namen „Die grüne Laterne“ gesucht, wo es laut der älteren Dame das allerbeste süß-saure Essen überhaupt gibt. Ich weiß nicht einmal, ob es das Restaurant noch gibt, schließlich ist sie gute 15 Jahre nicht in der Stadt gewesen. Also: Was lässt sich über Flughäfen sagen? Ich denke sie sind ein eigenständiger Mikrokosmos und haben wenig mit den Städten gemein, in denen sie liegen. Kein Ort auf der Welt spiegelt mehr die Reise- und Entdeckerlust der Menschen wieder, auch wenn nicht alle freiwillig reisen. Manche fliegen wegen ihrer Arbeit, andere weil ihre Familie weit weg wohnt, so wie die ältere Dame aus Johannesburg, die ihre Kinder in LA besucht hat. Und ich denke, kein Flughafen spiegelt die Sonderstellung so wieder, wie der in Johannesburg: Die Stadt kämpft schwer mit Armut und Kriminalität, doch am Flughafen ist nicht davon zu finden. Seit der Fußball-WM sind auch die letzten Spuren am Flughafen beseitigt, die Oberfläche für Gäste glattpoliert. Doch zu allerletzt ist der Flughafen auch ein Platz für Begegnungen, gerade für diejenigen, die alleine reisen. Während ich in Johannesburg am Ticketschalter gewartet habe, habe ich mich nicht nur mit Leuten aus England unterhalten, sondern auch mit einem netten Mann aus Namibia, der versucht hat mich zu überzeugen, dass zwei Monate für Südafrika doch viel zu lang seien. Ich solle doch lieber auch noch seine schöne Heimat Namibia besuchen. Und um zum Schluss zu kommen: Nachdem ich jetzt in nicht einmal 24 Stunden, vier Flughäfen in drei Ländern auf zwei Kontinenten besucht habe, glaube ich, kann ich mich nun als weitgereist bezeichnen!